While exploring Port Alberni's waterfront, we came across this guy on a public bench. Turning him over we discovered a Facebook address... "Alberni Valley McTimberface wru at now?" He's one of a collection of McTimberfaces put out around Port Alberni by the group's creator . The intent is that any finders should take their McTimberface on their travels, post some photos of their adventures, and then leave them for someone else to find. 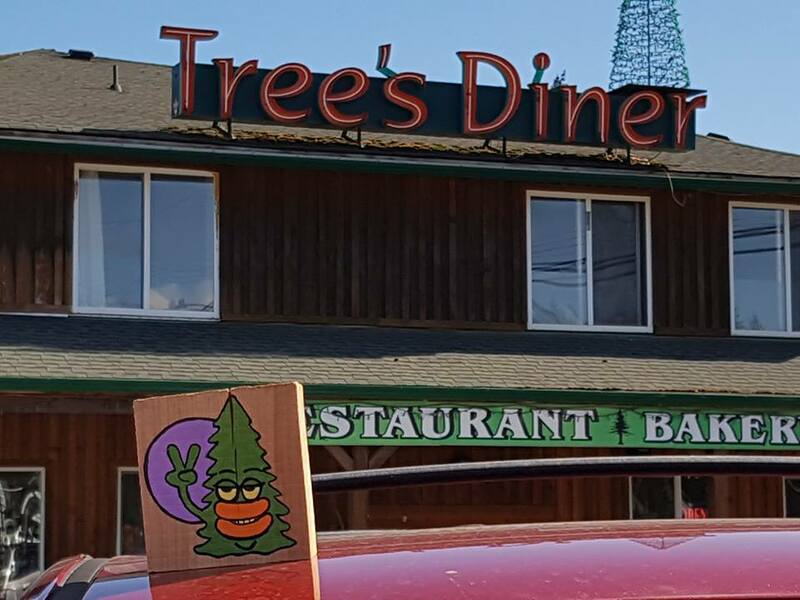 We took Quinton -- the name of our particular fellow -- to breakfast at the Tree Restaurant(!) in Parksville before carrying him back with us to Victoria. The plan is to get him to Las Vegas when my wife flies down for a business trip next week.